Luxury camping, also known as glamping, is on the rise, which raises a very important question for all of us: what glamping accessories do I need for my next trip? Well, whether you’re planning your first yurt camping trip or just looking for cool camping gear for yet another glamping escapade, this list of this summer’s 11 luxury camping essentials has you covered. Every decent luxury camping trip needs a challenge. Invest in this Swiss Army SwissChamp XAVT by Victorinox and attempt to use all 80 essential functions. An altimeter, barometer, thermometer, corkscrew, can opener, tweezers, toothpick, scissors, fish scaler, magnifying glass, ballpoint pen, LED light. Phew. The price might seem a little steep for one camping trip but the sense of accomplishment will make it totally worthwhile. Ever been away from home and faced with using an unmotorised knife with regular metal blades? Thankfully Yosa lets you pimp your next luxury camping trip with their Lightweight Cordless Electric Meat Knife with Stainless Steel Blades. What a mouthful. Cut your campfire-cooked meats with ease, but avoid using to cut the wood for the campfire – the blades don’t quite make it through. Bringing a canine friend? Unleash the resourceful survivor in you and see the potential your dog possesses as a pack-dog for all of your essential needs. Fit them out with one of these SarahTom backpacks or head to Outward Hound for some other good options. All can carry snacks and the electric knife above. The outdoor nature of this pursuit makes walking outside inevitable. We know this is hardly what you signed up for with luxury camping, which is why these Rainboots, Gumboots, Wellington or whatever you like to call them boots, will be an absolute necessity. If you’re going to do it, do it in style is Dolce & Gabbana‘s motto. (Actually, it may very well not be Dolce & Gabbana’s motto, so don’t quote us on that). Bathing outdoors in a picturesque setting is a magical experience and one that should be part of any luxury camping adventure. Tubble sells high quality inflatable bath tubs, or try this one for the ultimate in outdoor bathroom comfort. The hipster pursuit of luxury camping obviously requires a manicured beard. If you’re confident in your regular use of beard oil and the like to keep a well-maintained face mane, then perhaps this product isn’t for you. 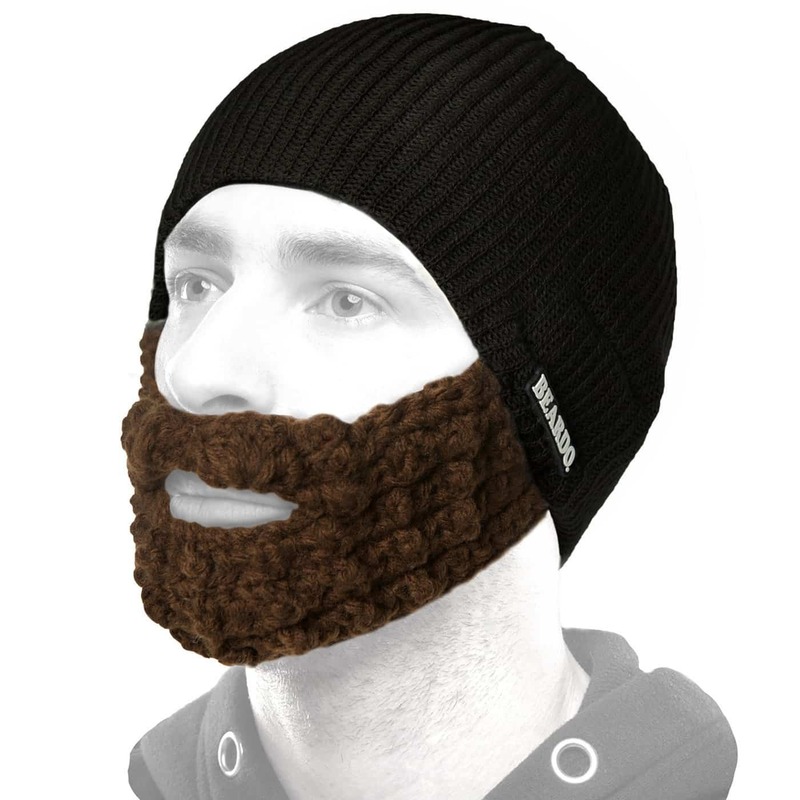 If, on the other hand, your beard could use a little nourishment then the BEARDO hat is just the ticket. A bare face is best for this accessory and there are plenty of other options from Beardowear. Just don’t go too crazy, you don’t want to look ridiculous. Camping purists are a painful and unnecessary part of any glamper’s existence. Put them in their place with a t-shirt that makes a statement. “Girls don’t camp. We glamp.” is a great start but if you prefer something a little more masculine, create your own with the guys at CustomInk. The sky’s truly the limit so go hard with your slogan – wear it with the pride and glamour of a true glamper. Don’t settle for a regular cup of instant joe like other campers. With everything from stylish sporks to design-inspired flasks, Snow Peak know how to camp in style. Brew and froth your coffee like a pro with their cafe latte set. Did we mention its titanium? Enough said. Let’s just be honest for a second. The call of nature will prevail, not even the glamorous in luxury camping can stop that. But your choice of toilet paper should reflect your decision to live the good life. This $100 bill toilet paper does exactly that. 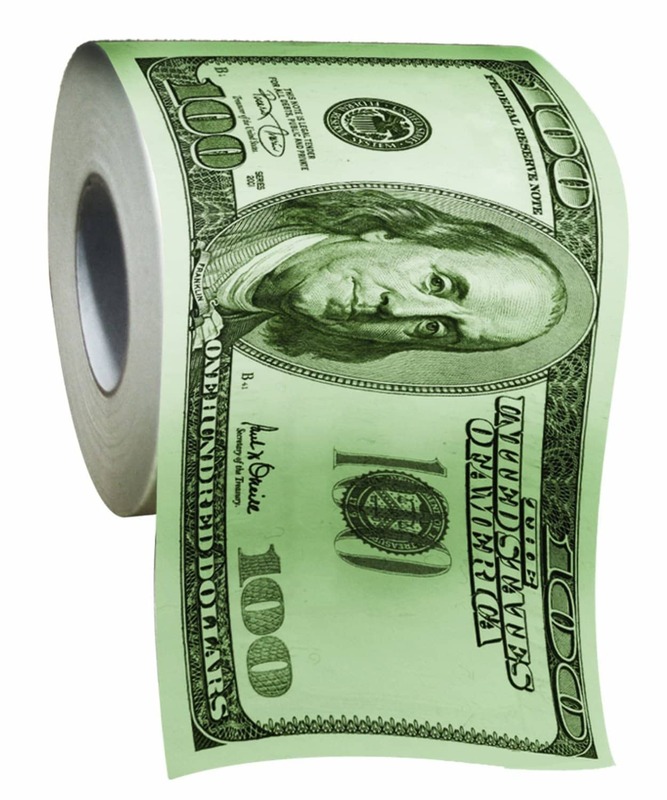 The folks over at BigMouth Inc. know that there’s nothing more glamorous than dollar dollar bills, and your loo paper should set the tone for your outdoor experience. Sure, your professional outdoor sleeping bag from a reputable outdoors company might be appropriate for regular camping. But we’re luxury camping here, and luxury camping requires that enveloping puffiness to be on-trend and stylish as hell. Enter The Napsack in Rainbro from Poler Stuff. Spotify the latest tracks without catching a chill, this napsack comes complete with a chest pocket that fits your smartphone and a hole to pass through your headphones. How’s that for a list of luxury camping essentials? All of this year’s glamping accessories and cool camping gear in one place. The only question now is: where are you going to go? And if you haven’t decided that yet, you need to take a look at these 11 cool places to visit this summer, or summer’s top 13 off the beaten path destinations. And if that’s not good enough, our trusty list of the 12 best beer cities of 2016 never seems to fail. Check it out – you’ll be glad you did.